I'm using Windows 7 with Evernote 6.13.14.7474, and this long-existing problem still exists, and I hope it be fixed in near feature. It exists with 6.5 as well. 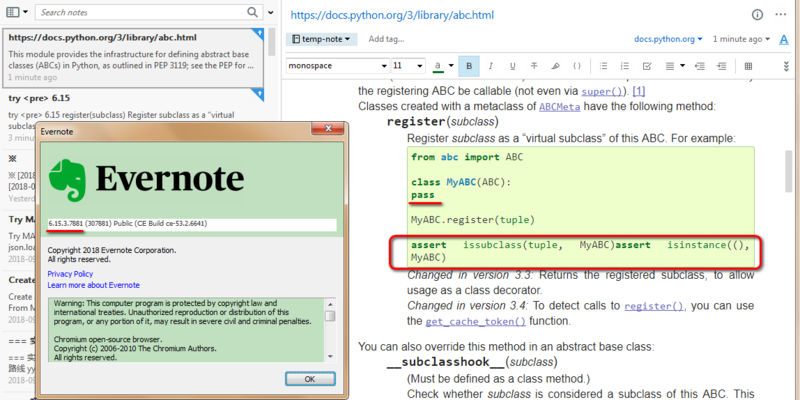 For example, find a code block(text inside HTML <pre> tag) from https://docs.djangoproject.com/en/1.11/topics/db/models/#many-to-many-relationships , using Google Chrome v65, copy it and paste into an Evernote clip. You'll see that line-breaks are lost. I cannot figure out the rule this bug happens. It just happens sometimes on some web pages. It is especially annoying when the code block contains many lines(50 for example), and only several(5 for example) of the lines lose line breaks, because visually indentifying those 5 lines is not easy unless you carefully check, -- or better, understand -- the pasted code. This problem can be easily seen for docs.﻿python.org. And it is still not fixed in version 6.15.3 .